Show me the Shirts! I want to start shopping now! Use Promo Code CS51. 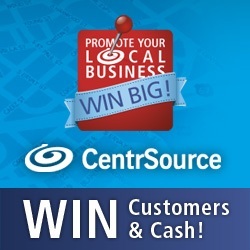 CentrSource EXCLUSIVE! - Buy any $95 shirt and select a silk tie and cufflinks for FREE. Look sharp with premium contemporary dresswear for any occasion. - 2-ply 100 thread-count Egyptian Cotton Dress Shirts in Checks, Stripes, Solids or Neats, including Non-Iron. Choose from a variety of cuff and collar options. - Ties are High Pic Silk. Made in Italy and hand-finished. Available in a variety of widths. - Over 50 styles of cufflinks to choose from. and you will receive a $140 credit when you check out. Use Promo Code CS51 to check out.